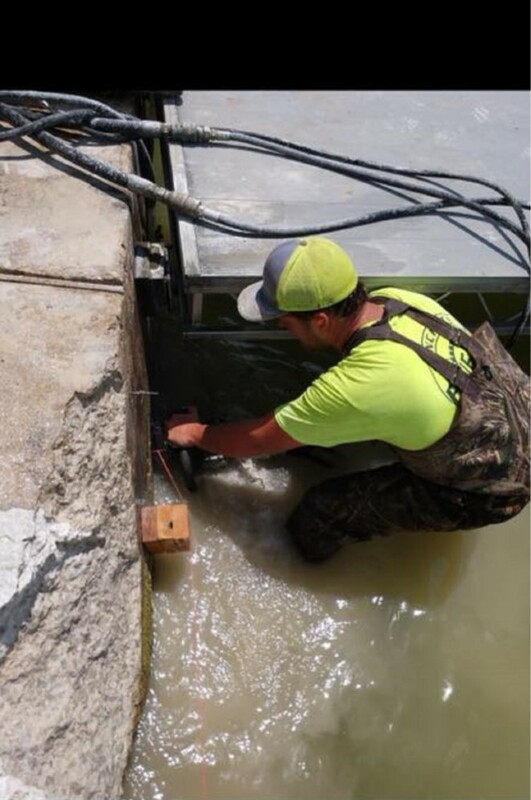 Fine Cut can use concrete chain sawing for many different types of retaining walls, because their team of operators are trained to cut masonry and concrete structures without over cuts with hand-held concrete chain saws. A concrete chain saw contains diamond grit to give it the strength and durability required to cut tough surfaces. Concrete chain sawing is ideal for small openings or odd-shaped materials like retaining walls. Gravity walls depend on their mass, whether it be stone, concrete, or other heavy material, to resist pressure from behind and may have a ‘batter’ setback to improve stability by leaning back toward the retained soil. Theses types of walls can pivot and topple easily. When concrete chain sawing is used, Fine Cut can get into tight corners to fix the wall. Cantilevered retaining walls are made from an internal stem of steel-reinforced, cast-in-place concrete or mortared masonry. These walls require rigid concrete footings below seasonal frost depth. Using concrete chain sawing is an easy way to make sure the corners are cut to the right size. Sheet pile retaining walls are usually used in soft soil and tight spaces. Sheet pile walls are made out of steel, vinyl or wood planks which are driven into the ground. An anchored retaining wall can be constructed in any of the other retaining wall styles but also includes additional strength using cables or other stays anchored in the rock or soil behind it. Usually driven into the material with boring, anchors are then expanded at the end of the cable, either by mechanical means or often by injecting pressurized concrete, which expands to form a bulb in the soil. Concrete chain sawing is ideal for small openings or on odd shaped materials. This technique works on brick, block and concrete up to 25 inches thick. The diamond chain saw can also be used in conjunction with a wall saw to prevent over-cutting in corners, ensuring a neat 90-degree corner opening. This can be very important when over-cutting would jeopardize the structural integrity or aesthetics. 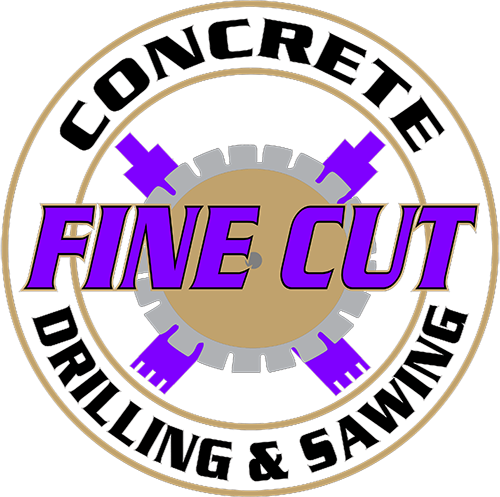 Fine Cut may specialize in concrete chain sawing, but they’re also able to chain saw through cinder block, structural concrete, stone, brick and asphalt as well. For more information about concrete chain sawing or any of Fine Cut’s other services, call (816) 540-5787.